The Bermuda Police Service has acknowledged the “valuable assistance” provided by international law enforcement partners in assisting with the arrest and extradition of murder suspect LeVeck Roberts. The 21 year old, who holds dual U.S. nationality, was extradited on Sunday [Aug 31] after having been arrested in Atlanta earlier this year. Roberts appeared in Magistrates Court this morning [Sept 2] where he was charged with the murder of Haile Outerbridge and Ricco Furbert, who were shot at Belvin’s Variety store last year. A police spokesperson said, “The repatriation of LeVeck Roberts was a result of extensive collaboration between the U.S. Department of Justice and the Bermuda Director of Public Prosecutions. “The 21 year old Bermudian LeVeck Roberts, with dual U.S. nationality, was extradited on Sunday 31st August, 2014 from the United States to Bermuda to face murder charges. “LeVeck Roberts had been the subject of an international arrest warrant through INTERPOL, and was arrested in the Atlanta, GA area earlier this year. “Assistance in locating and arresting Roberts in the United States was provided by our partners at the Department of Homeland Security Investigations. 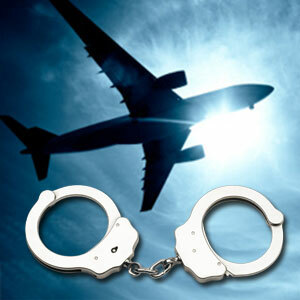 “Extradition transport assistance was provided by the United States Marshalls Service [USMS]. “Following hearings in the United States, the courts ordered Roberts to be extradited to face charges in Bermuda in respect of the double murders of Haile Outerbridge & Ricco Furbert at the Belvin’s store on Happy Valley Road, Devonshire on 23rd January, 2013. [Note: Due to legal reasons there are very specific rules about commenting on court stories that are not yet completed, and as such many are not permitted, and we will err on the side of safety and delete anything we think may be problematic. If you are not familiar with the rules, please see the guidelines here.]. I met one of the victim’s mother last Winter. How tragic a strory, may justice be carried out for her sake. Peace. I hope justice will be served.